View of Covent Garden and it's adjoining streets by Sutton Nicholls, 1720. 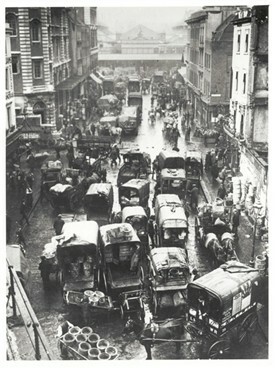 The 1938 film adaption of Pygmalion portrays an image of Covent Garden similar to the one most people remember: a bustling fruit and vegetable market, with people carrying barrels and baskets on their heads, flower girls shouting at the top of their lungs, costermongers hawking produce, and all the while everyone is trying to out-shout their competitors, packed side-to-side like sardines. Such an image of Covent Garden is far-divorced from what it is today, but it is still a fresh image in London’s memory, having only been replaced by its current incarnation in 1974. Like any other place in London, Covent Garden has experienced various stages of life. From humble beginnings as a Convent garden, it has moved through many guises over the centuries. From a home to the aristocracy and the main centre of theatrical life in London it developed into the largest produce market in the world. On this journey both rich and poor have moulded its history, in an area once renowned for licentious behaviour. Much of Covent Garden would still be familiar, such as the flower girls like Eliza Doolittle in Shaw’s famous play who sold their wares outside the portico of St Paul’s Church in the Piazza. However, without the strong community spirit that still remains that would certainly have not been the case. “Covent Garden” is actually a bastardization of “Convent Garden,” which it was called as early as the 1500s for being the vegetable garden of the monks of Westminster Abbey. For a time the land remained in the monks’ possession, and in the possession of several lease-holders until, in 1536, King Henry VIII seized the land as part of the dissolution of the monasteries. As monarchs with new parcels of land are prone to do, he proceeded to give much of it to his friends, and from there it changed hands several times until, in 1522, it arrived in the palms of John Russell, the first Earl of Bedford. His influence on the property is negligible, as he already had land and was content to occupy himself with it. For a while Covent Garden sat uselessly in the family’s estate, and in fact the third Earl of Bedford tried and failed to sell the land in 1619. It wasn’t until the 1630s that Francis Russell, the fourth Earl of Bedford, built a house for himself in Covent Garden on the North side of the Strand. In addition, in a bid to make money out of his property, the Earl then commissioned Royal Architect Inigo Jones to build a square there, with houses “fit for the [habitations] of Gentlemen and men with ability.” Almost as an afterthought, he directed Jones build a church as well (because the aristocrats had to go to church somewhere). Legend has it that, not wanting to spend very much money, Russell asked that the church be no more elaborate than a barn, to which Jones responded “you shall have the finest barn in London.” As a result, the impressive, St. Paul’s Church has been at the centre of Covent Garden life ever since. 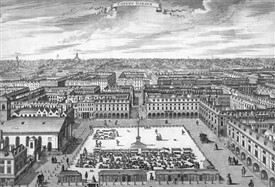 The resulting square was the first piazza in London, and for most people its construction marks the true beginning of Covent Garden’s history. 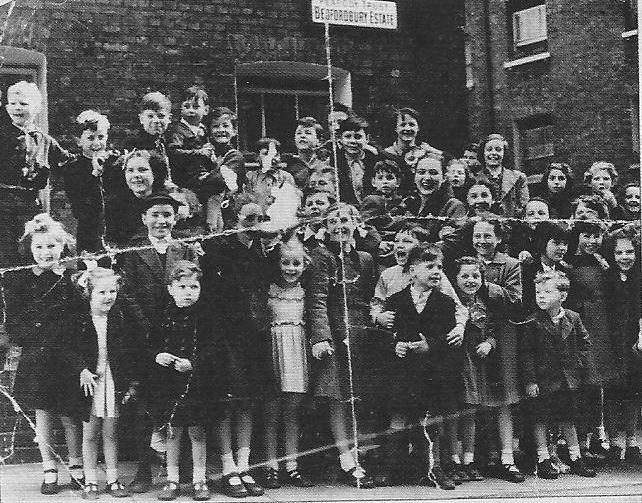 The Russell family’s hand in the creation of the square is commemorated today in Russell Street and Bedford Street. Markets began gathering at Covent Garden’s new square as early as 1656, though the population was still sparse, composed mostly of wealthier tenants. Being relatively new and out-of-the-way, Covent Garden had the fortune to skirt the worst of the plague in 1665, and it avoided the Great Fire of London entirely in 1666. This meant, however, that scores of Londoners leaving the destoyd City of London found themselves migrating to the West End, and inevitably to Covent Garden. Consequently, the Market practically exploded with activity. In a bid to regulate the rapid spread of the Market, King Charles II granted a royal charter in 1670 to formalize its presence in Covent Garden. The rapid expansion of the market changed the character of the area and drove the nobility to seek more gentile environments elsewhere in central London. 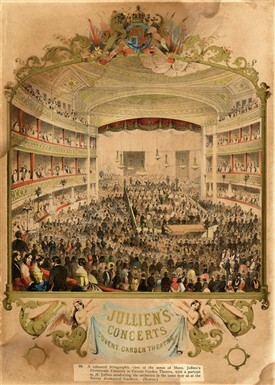 In London society a respectable address was everything and if having a bustling commercial market were not enough reason to move, the presence of two theatres added yet another: The First Theatre Royal on Drury Lane, and the Royal Opera on Bow Street. Each theatre had letters patent, granted by King Charles II, allowing them to be the only London theatres able to perform spoken drama. This made Covent Garden London’s theatrical centre, attracting droves of theatre-goers who thronged the streets of Drury Lane and Bow Street and brought in their wake a flourishing trade in prostitution. While in the daytime Covent Garden was becoming a busier and busier market, when the sun went down it was growing more and more notorious for its dissolute nightlife. The aristocracy, unable to handle the combined chaos of the market, nightlife and theatre scene, began to leave. As they did so, more and more of the working class moved in, dragging Seven Dials and the nearby St Giles Rookery into poverty and dilapidation and further speeding the flight of the wealthy. By the end of the 18th century the majority of the aristocracy had gone. Opportunists swooped in, converting the vacated homes into taverns, coffee houses, book shops, gambling houses, drinking dens and, of course, brothels. Coffee houses in particular came to serve many purposes; they served as meeting places, fora for political and literary debate, and some were even brothels that simply masqueraded as coffee houses. 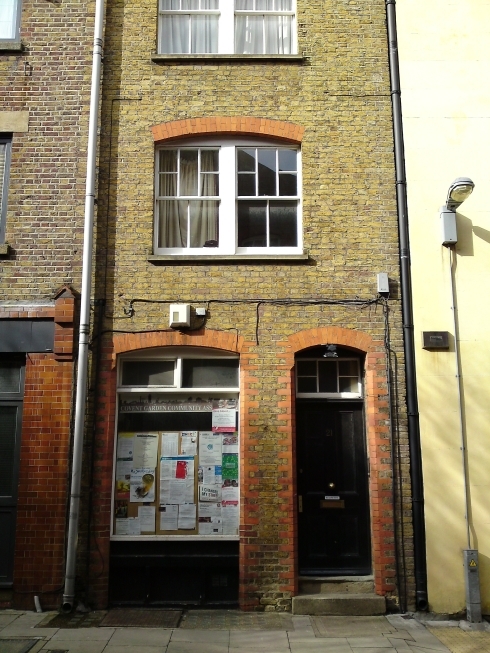 Moll and Tom King’s Coffee House, for example, was notorious as a place where prostitutes and their customers could meet before moving elsewhere to conduct their business. The coffee house Button’s, on the other hand, was notable for different reasons. In 1713 the writer Joseph Addison, determined to establish Button’s as the literary hub of London, advertised that he would place a lion’s head letterbox at the coffee house where people could place letters in, contributing their opinions to Addison’s newspapers. As a result, Button’s soon became the place where taste was ratified, and thus it became extremely popular. Such prominent wits as Alexander Pope, Richard Steele, and Jonathan Swift came to frequent Button’s, and what they opined became the standard for public taste, as their debates featured in The Tatler, The Spectator and The Guardian. Button’s did not survive beyond 1754, but curiously the site has returned to its original use as a coffee house. It is now occupied by a branch of Starbucks. Covent Garden also came to suit political purposes. As early as the 16th century, hustings would be erected outside St Paul’s church upon which politicians would stand to deliver speeches to gathered crowds. Landowners - and only landowners for they were the only constituents that counted - could then raise their hands if they voted in favour for what was being said, or if they wanted to elect an official. These affairs were well-attended and food and drink was brought in ample supply. Inevitably, many of these political meetings dissolved into violence; in 1736, in the middle of Lord Workworth’s election, a fight broke out between sailors and sedan chairmen that ran out of control. Soldiers had to be called to separate the warring factions. 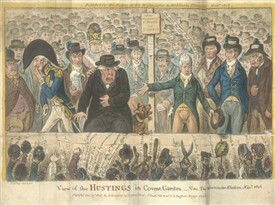 At another election, between Lords Fox and Hood, fights broke out in which “bricks and dead cats” were used as weapons. By 1830 Covent Garden was re-organized with the erection of the Central Market, and it would live on for almost two more centuries. No longer was it a social centre so much as a market proper, attracting not just gardeners in the form of costermongers and their barra boys (a name the originated from "barrow boys")- though it would be most popularly known as a vegetable market- but florists, hawkers, tailors and more. Much of what was sold was homegrown, but the market reflected a growing influence from outside Britain’s shores from as far as America. It was a popular market and it kept growing and growing, spilling outward from Covent Garden’s square. And as the market grew bigger and more popular, it came to cultivate disorder, overcrowding, refuse, and general confusion; it was often lambasted in Punch as a “Mud-Salad Market”. From its very earliest days, the main access points into the market from the Strand and Long Acre, were narrow and congested. As the market grew it became more and more apparent that at some point in the future it would inevitably have to move. Renovations to address these problems were put off for a long time due to the physical and financial constraints imposed by two world wars. Finally, in 1960, it was decided that the move could not be put off any longer. Thus in 1961 the Covent Garden Market Bill was passed, and the market had moved in its entirety across the river to Nine Elms by 1974. There was some deliberation on what would happen to the village and historic buildings of Covent Garden after that. Redevelopment plans arose, and for ten years these plans were fiercely fought by the Covent Garden community, arguing in favour of preserving the area for its historical value and cultural meaning. Their victory in this battle preserved Covent Garden’s old market buildings which reopened as a major tourist and shopping destination in 1980. You can read more about this battle elsewhere on this website. This page was added by Nigel T Espey on 05/11/2012.